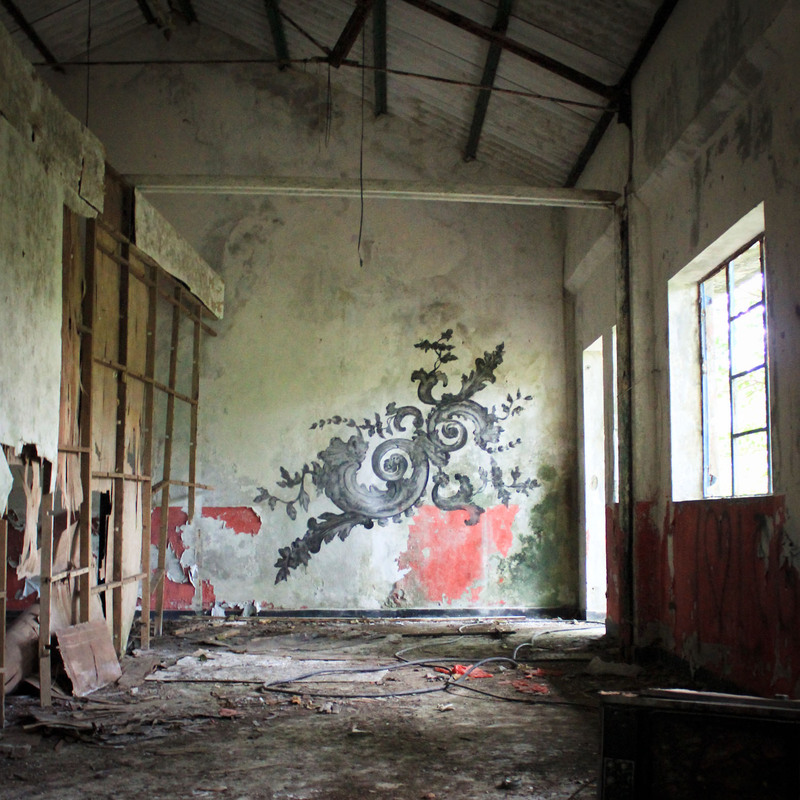 USING PARISIAN ARCHITECTURAL ORNAMENT, FRENCH STREET ART ARTIST PAINTED FLORAL COMPOSITION IN ABANDONED HOUSES IN THE NEW TERRITORIES IN HONG KONG. 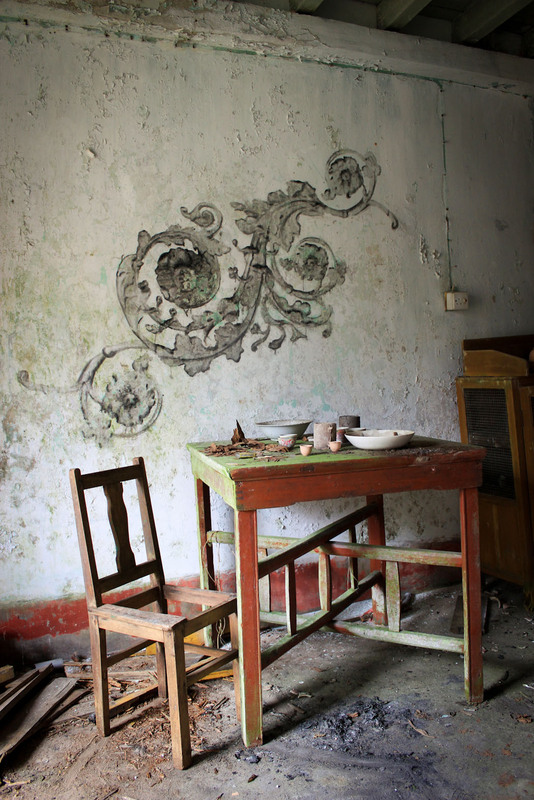 YZ VISUAL ARTWORKS ARE REAL IMMERSIONS INTO THE WATERS OF REMEMBRANCE AND NOSTALGIA, RIGHT INTO THE HEART OF ANOTHER PERIOD. 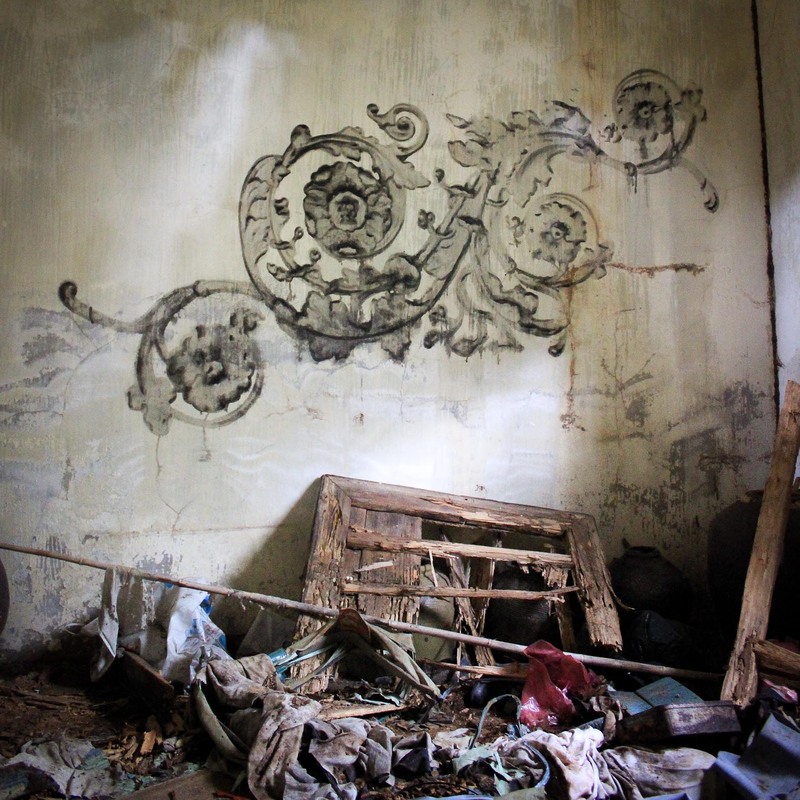 SOMEHOW ANACHRONISTIC OR FALSELY AGED, NO MATTER IF THEY ARE REALIZED DIRECTLY ON THE WALL, THE CANVAS OR IN VIDEO, THESE PIECES STILL SHARE A FELLING OF LONGING FOR THE PAST.